Mesothelioma prevention typically is thought to be impossible. Most people do not realize that they are being exposed to asbestos, the only known cause of mesothelioma, when it occurs. The mesothelioma facts are that asbestos particles released into the air as asbestos dust can easily be inhaled without any indication that this is what is happening. Asbestos is odorless, tasteless and its microscopic particles are invisible to the human eye. But asbestos particles are razor sharp and once inside the body, immediately begin damaging the lungs or other vital organs. Then 30 or 40 years later, mesothelioma is diagnosed without the victim often knowing how it happened. But there is one group of people who are at high risk for developing mesothelioma, and for whom the avenues of exposure are very clear. For this group mesothelioma prevention can and should be made a priority. That group is our nation’s firefighters. If only mesothelioma were preventable in everyone who is exposed to asbestos. Tragically, it isn’t. However, because of firefighters’ very specialized high risk exposure, mesothelioma prevention may be possible; and long overdue. Firefighters were found to face twice the risk of developing mesothelioma in a 2013 landmark study. Data on 29,993 US career firefighters from 1950 through 2009 was collected and analyzed. The study, done under the auspices of the National Institute for Occupational Safety and Health (NIOSH) and the National Cancer Institute (NCI), specifically looked at rates of cancer in firefighters. Shockingly, although other studies had looked at overall death rates in firefighters, no study had ever looked at cancer rates in firefighters. Yet there are over one million professional firefighters in the U.S. who daily risk their lives to protect people, pets and property from fire. “Our results provide evidence of a relation between firefighting and cancer. The new finding of excess malignant mesothelioma is noteworthy, given that asbestos exposure is a known hazard of firefighting,” the study’s research scientists state in their conclusion. They also noted that among the firefighters studied, “We observed about a twofold increase in malignant mesothelioma mortality and incidence compared with the US population.” Nearly 90% of the mesothelioma that firefighters developed was pleural mesothelioma. This type of mesothelioma is the most common and occurs in the cells of the tissue that line the lungs. Is it not enough that firefighters face horrendous hazards of high heat flames, smoke inhalation, and falling debris when they fight fires? Must they also face certain death from a lethal cancer caused by asbestos exposure? Knowing what we now know about firefighting, mesothelioma prevention for this group of dedicated public servants needs to be a focus for every fire department. Asbestos has had a long history with fire. Even in ancient times, people discovered that asbestos provided fire-retardant protection. As societies industrialized, asbestos continued to be used for heat insulation and fire prevention. Many buildings throughout the U.S. – factories, schools, hospitals, hotels and apartment buildings – contain asbestos. The World Trade Center towers were built in the late 1960s. The first tenants moved in during 1970. It wasn’t until 1973, that the EPA’s Clean Air Act banned most asbestos products used for fireproofing and insulating purposes. So the World Trade Center Towers contained asbestos. When the Twin Towers were attacked, and destroyed on 9/11 2001, many firefighters were called into duty as first responders. Several hundred of them died trying to save lives and extinguish the flames. But it has since become known that the collapse of the buildings released hundreds of tons of asbestos particles into the air. There is now an awareness that many firefighters may be at risk for mesothelioma because of their exposure to asbestos on that terrible day. Overall this has led to a valid concern for lethal illnesses firefighters face including mesothelioma and other types of cancer. Mesothelioma prevention and the prevention of other cancers in firefighters, requires a base of knowledge to bring about needed change. The NIOSH/NCI study cited above is an important first step. And it made it clear to many people that the situation calls for ongoing additional information. In February, bipartisan legislation was introduced in the U.S. House of Representatives to create a long needed national registry for firefighters diagnosed with cancer. The Firefighter Cancer Registry Act of 2017 has 76 original sponsors. The creation of this registry would provide data for researchers to further examine the relationship between firefighters, their ongoing exposure to toxic fumes and dangerous substances like asbestos and their increased risk for cancer, including mesothelioma. This information could also allow for better protective equipment and prevention techniques to be developed. The Centers for Disease Control (CDC) would oversee designing, implementing and monitoring this registry. Last year similar legislation was introduced but failed to move forward. This year’s version has nearly 80 sponsors in both political parties. It has been sent to the Congressional Committee on Health, Education, Labor, and Pensions for review. If you would like to try to help this bill pass, contact your Congressional representatives’ local offices. Their office phone number and email address can be found online. The bill is officially called the Firefighter Cancer Registry Act of 2017 H.R. 931 and is still making its way through the political process. Companion legislation to H.R. 931, S.382, was introduced in the Senate in February 2017. What Can Firefighters Do for Mesothelioma Prevention Now? Mesothelioma prevention for firefighters needs to become an intentional part of their training and their equipment. There is no such thing as a safe level of asbestos exposure according to the EPA. 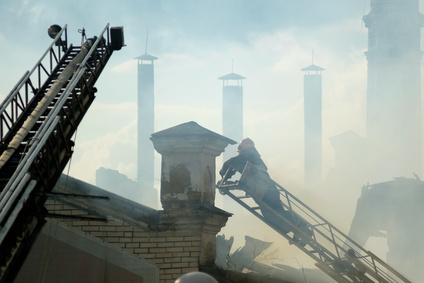 The asbestos particles released during a building fire may be part of the reason that firefighting organizations acknowledge that structural fires pose greater risks to firefighters than chemical fires. Chemical fires may be caused by one known substance that is approached with appropriate caution and equipment. But firefighters are often unaware of the danger from particulate matter, including asbestos, released in the smoke and soot of a structural fire. That needs to change. Mesothelioma prevention is important for firefighters. It is now clear that firefighters can contract mesothelioma through airborne smoke inhalation containing asbestos fibers. More information is needed and hopefully the Firefighter Cancer Registry will provide it.